I'm a fan of tank tops. Most the time. 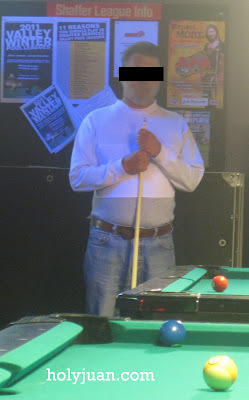 Sadly, this gentleman, seen at a local bar, didn't realize that his shirt made it look like he was wearing a tank top.